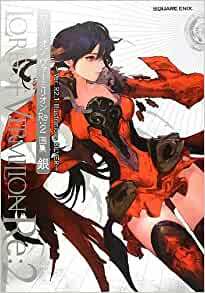 Silver version of the Lord of Vermilion 2 books - better than the Lord of Vermilion book, in my opinion. Like Lord of Vermilion, it is still quite filled with a wide variety of styles and is packed with a great amount of inspiration and examples of both monsters and humanoid digital paintings. Definitely recommended to anyone interested in this field. This book is slightly more polished than Lord of Vermilion, and carries a wider array of humanoid characters than the last book.